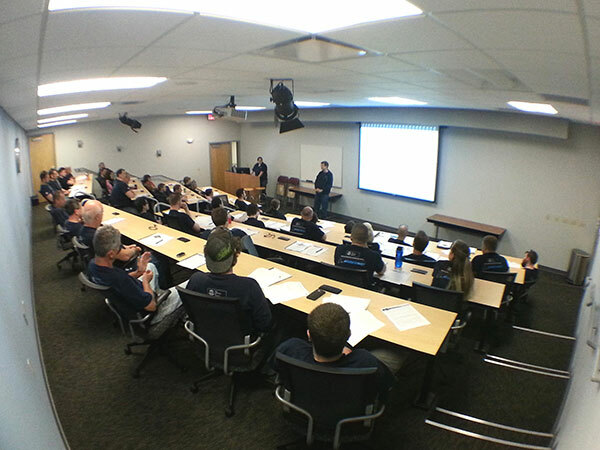 Our WARDJet team gathered yesterday for the monthly safety meeting to cover new regulations and updates to the company safety policy. 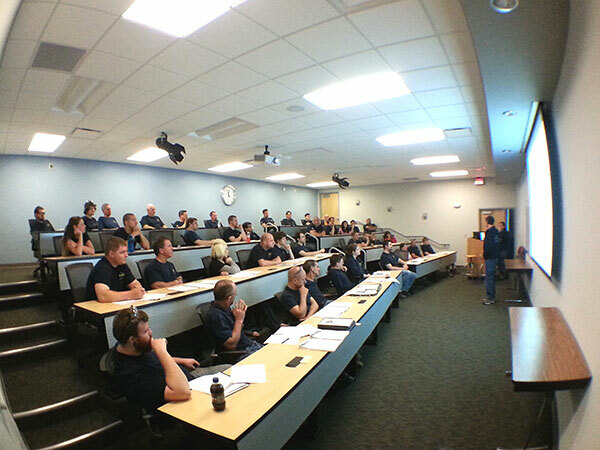 WARDJet's Safety Coordinator lead the meeting and showcased the newest employee safety training video. Our "SC" is passionate about safety; she is always looking for ways to ensure employee safety and encourage smart production practices in the workplace. WARDJet is committed to making the highest quality waterjets on the market while maintaining safe operation practices for our employees. These same safety standards are instilled in your operators during safety training whether at WARDJet's facility or on your production floor. To find out more about WARDJet waterjet cutting machines, contact us!